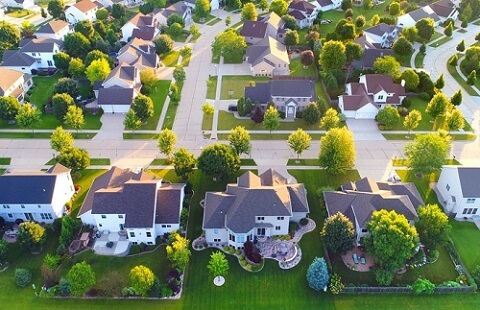 Homeowners have gained nearly $1 trillion in equity over the past year, according to new data from CoreLogic. According to the analytics firm’s second-quarter Home Equity Report, US homeowners with mortgages – who account for about 63% of all properties – have seen their equity jump by 12.3% over the last year, representing a gain of about $981 billion since the second quarter of 2017. The average homeowner gained $16,200 in home equity between Q2 of 2017 and Q2 of 2018. Western states saw the most significant equity gains, with California homeowners seeing an average gain of $48,800 and Washington homeowners seeing an average gain of $41,100. Meanwhile, the total number of mortgaged homes in negative equity fell 9% quarter over quarter to 2.2 million, or 4.3% of all mortgaged properties. Year over year, the number of underwater properties dropped 20.1%. The national aggregate value of negative equity was about $279.8 million at the end of the second quarter. That’s down about $5.5 million from the first quarter.